Grad have created a fully integrated system for their hidden fix technology. 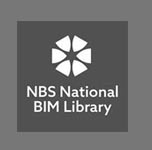 At one end of the scale we supply a very low profile retro-fit clip which can simply be secured to existing timber joists – or we can design a full installation solution for you, including height adjustable pedestals, aluminium support rails, fast fit clips and an ever increasing choice of ‘Grad grooved’ decking boards or cladding profiles. Our Grad decking offers the smallest build-up heights of any system now available in the UK and is particularly suited to the increasingly restricted space between balcony floors and door thresholds on the latest high-rise residential buildings. 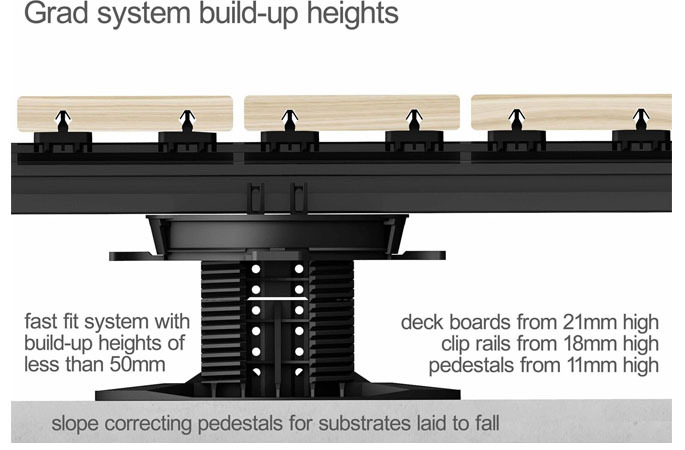 Finished build-up heights start at just 40mm without pedestals, offering a huge advantage over conventional timber sub-frame systems and making significant savings to installation time into the bargain. 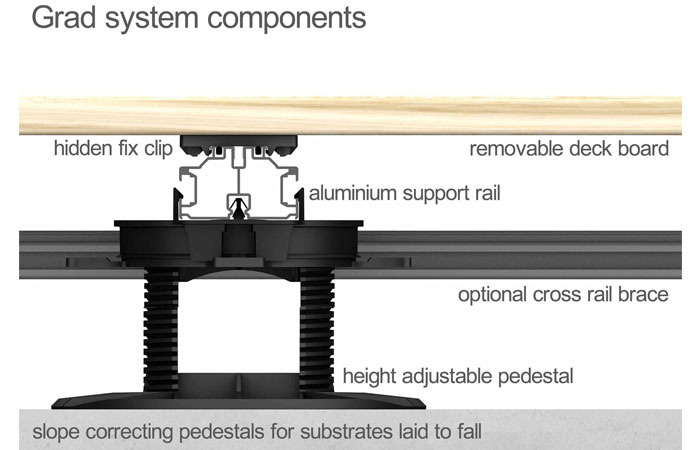 GRAD’s own dedicated pedestal system starts at 34mm high. 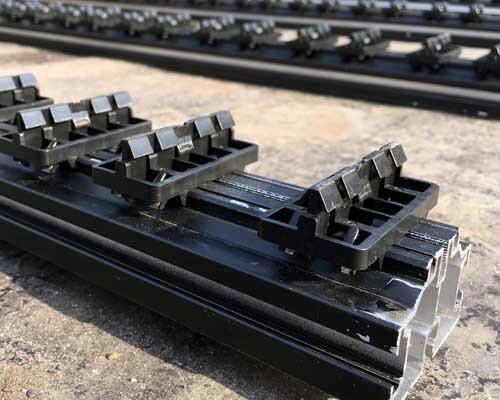 These pedestal snap lock onto the underside of the GRAD rails for even quicker layout on-site. Each one has a screw thread height adjustment collar and can accept additional extension threads, with structural bracing that slots down the centre of the pedestal. In this way the height can be increased to a maximum of around 300mm. The GRAD ‘Top Cube’ clips onto the side of the GRAD rails and allows vertical boards to be installed as step risers or as the skirting around the edges of a deck. 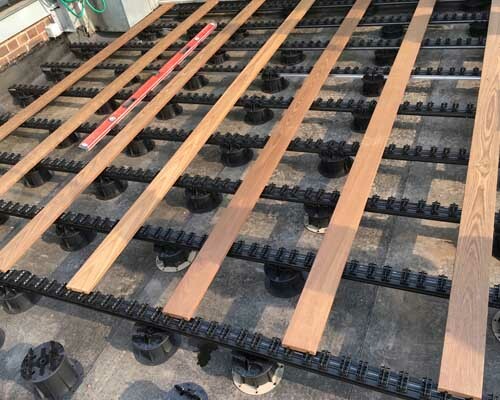 Like the deck boards, these boards can still be removed after installation (without any damage to the material) by using the specially designed GRAD removal levers.